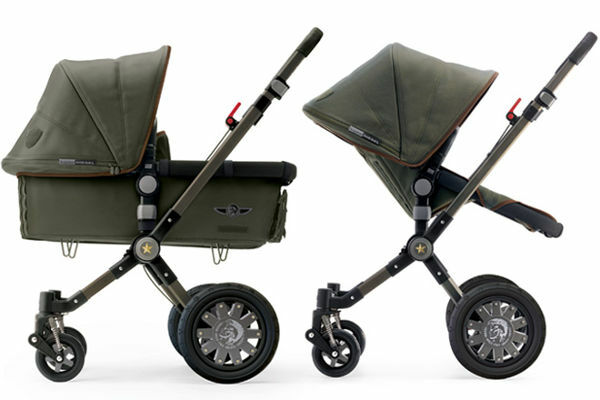 Stand to attention - it's the new Bugaboo by Diesel army-chic pram collaboration! 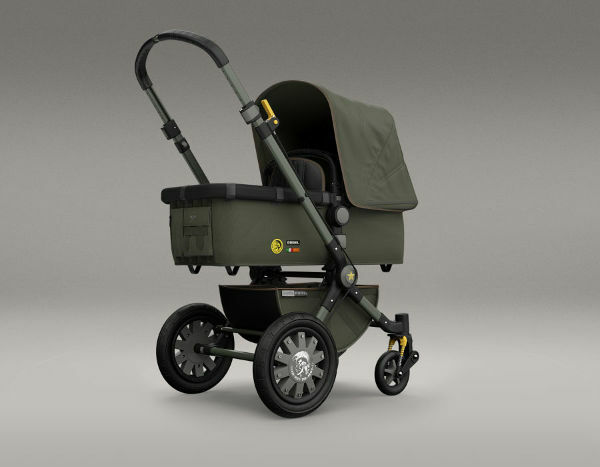 Stand to attention – it’s the new Bugaboo by Diesel army-chic pram collaboration! Rebellious, brave and fashion forward – this dynamic Bugaboo collaboration has to be one of the best yet. If edgy fashion with a cult following is your thing, you’ll be floored by this collection. Bugaboo has been a pioneer of the fashion collaboration trend, successfully pairing its enormously popular range of strollers with some of the world’s most iconic artists and labels. The latest collaboration is a three-year partnership with lifestyle brand Diesel, and the first collection is now available. In a departure from the recent Bugaboo Warhol collaboration, the new Diesel line is army chic. This beauty is the first release in the collaboration. The Bugaboo Cameleon3 by Diesel, retailing for $1699, invokes the rugged nature of the pram, while maintaining its sophisticated edge. It’s all about subtle contrasts and a sense of strength. The dark green anodised chassis is teamed with green canvas, contrasted with black and brown elements, while the clean, green lines are interplayed with a soft, comfortable interior. Diesel’s logo features on the wheels, and the luxe finish is emphasised with a faux leather handlebar and carry handle. 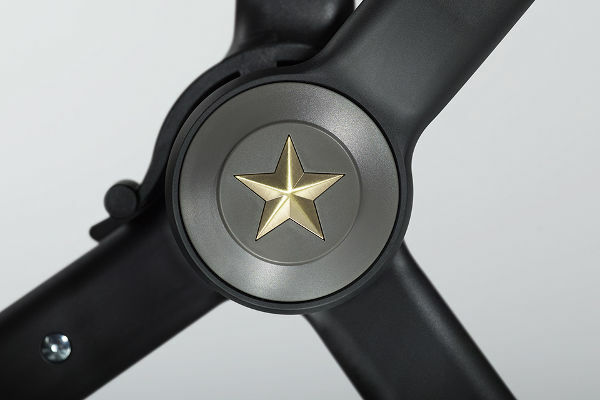 A gold metal combat star on the central joint cap completes the feeling of pure grit. The extended sun canopy is partially constructed of special mesh fabric. 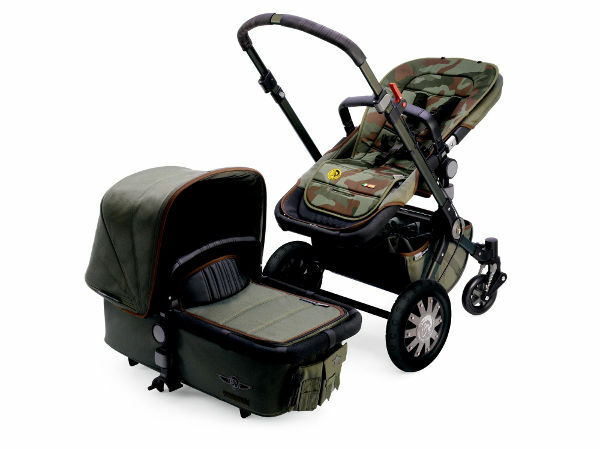 And this limited edition stroller can also be equipped with a camouflage printed mosquito net for $34.95. 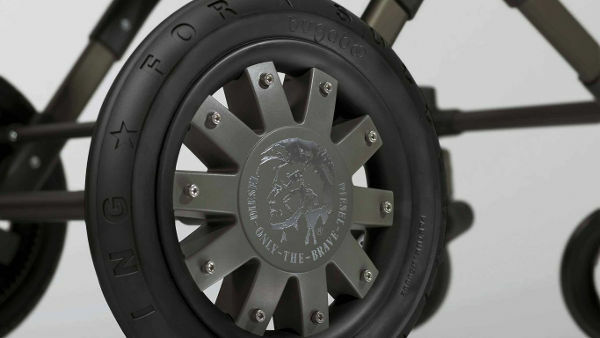 This first Bugaboo by Diesel alliance also comes with an army of stand-out accessories. 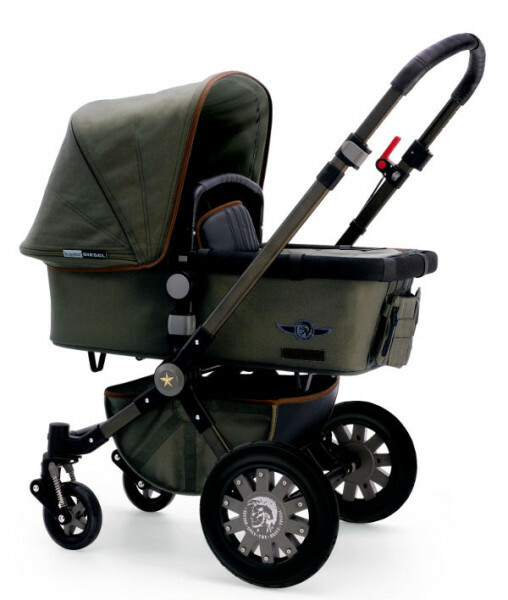 And they work beautifully in juxtaposition with any of Bugaboo’s other strollers – giving them a gritty edge. 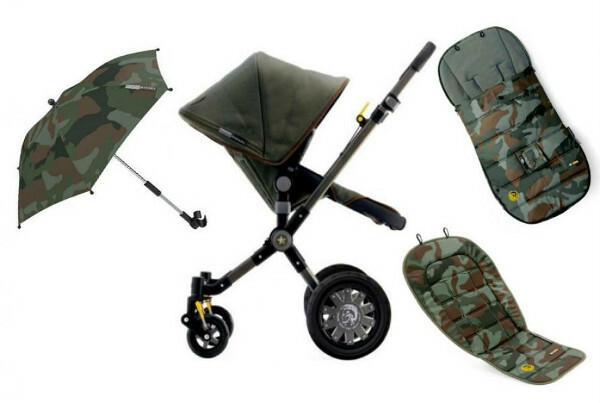 The collection includes a Bugaboo seat liner ($99.95) and a Bugaboo parasol ($89.95), which is adorned in camouflage print and the iconic Diesel badge, ‘Only The Brave’. This stunning detailing also features on the Bugaboo by Diesel Footmuff, priced at $250. This first Bugaboo by Diesel collection is now available in stores.